I’m absolutely loving the Malaysia Food Fest’s Sarawak Month. Seeing everyone’s enthusiasm about Sarawak and its offering is rather heartening. If you have not joined in the fun, check out the facebook event page for all the lovely entries so far. Even as a Sarawakian myself, I’m still discovering new dishes I’ve never tried before. Well today I’m going to blog about probably the most well-known signature dish in Sarawak: Kolo Mee. The allure of this dish lies in its simplicity. 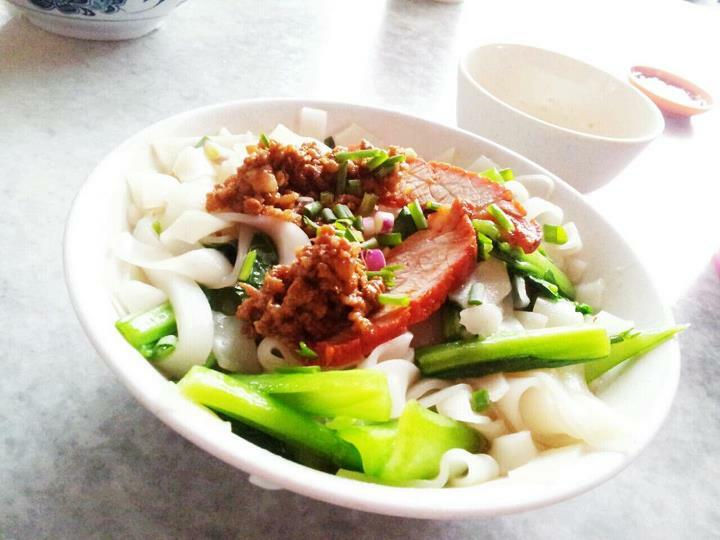 Usually in a bowl of Kolo Mee we would expect a few things: Springy and oily noodles (with pork lard), Minced Pork (well seasoned), Char Siew (usually of less fatty cut), and Vegetables (Choy Sum). Sometimes you could also find special version with extra toppings such as pork liver and prawns. There are also halal versions too, although I doubt it would be as addictive as the original. The funny thing is, I’ve never really ordered Kolo Mee in Bintulu. I’d either go for Kampua (Foochow) mee, or Kolo Kueh Tiaw (purists would probably scoff at this, hehe). Old habits die hard I guess, my family has been ordering this for many many years at the same place. That’s why it never even occur to me to change it to the original noodles. But luckily, my mum recently travelled back to Bintulu and I’ve asked her to bring me some dry kolo mee noodles. That’s a lot of Kolo Mee! To make Kolo Mee at home, it actually does take a considerate amount of effort. First, you have to prep the Char Siew, render the pork lard for the oil (though I have some leftover from a while ago), then you’ll have to cook/blanch a few things at once to put together a perfect bowl of noodles. 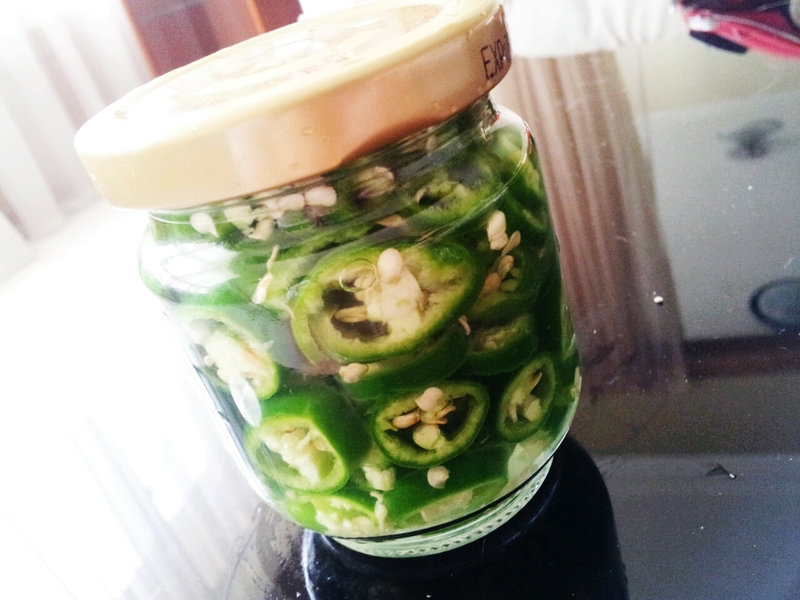 I’ve also pickled some green chilies a day ahead. “Kelly’s Kolo Mee” does have a bit of a ring to it eh? So, without further ado, let’s walk through the steps of making this dish. All you need are some chopped up green chilies (of course), about 5 or 6. Put them all in a sterile jar, add a teaspoon of sugar and a teaspoon of salt, then pour rice vinegar until everything’s covered. Keep this in a fridge at least overnight. This will last for weeks too. Use it for anything. Frank kept stealing pieces out of the jar! To render the pork lard, refer here. For Char Siew, I’ve referred to this recipe from My Asian Kitchen (and tweaked the amount of ingredients). I’ve actually use quite a lean cut of Pork too. Combine all seasoning with pork in a large container. Marinate pork for a few hours or overnight in fridge. Heat oven to 180 degree Celcius. Line a baking tray with baking papper. Place marinated pork on the baking tray,bake pork for 20 minutes,then turn the other side,bake for another 20 minutes. Brush pork with honey and then change setting to grill at 200 degree Celsius,roast the pork for another 5-10 minutes or so each side (brushing the other side too) until it is charred around the edges. Let cool, and cut to serve. You’ll also need to prepare some Shallot oil. Just fry chopped shallot in peanut oil until golden brown. Set aside, leaving some oil on the pan. Marinate for at least 1 hour. Fry pork in the shallot oil until well-cooked. Now that most of the preps are done, let’s get to the main part of the cooking. *As I’ve previously mentioned, I don’t cook with MSG at home. But Chicken Stock Powder is a good substitute and much better for you. Add all the seasonings in a large bowl. Cook the noodles in boiling water until al dente, for the dry noodles it takes about 3-4minutes. Drain and rinse with cold water. Then return to the boiling water again for around 30 seconds. In the same pot of water if you like, blanch the choy sum for about 1 minute. Set Aside. Once the noodles are ready, mix in the bowl with the seasonings. Then garnish with Char Siew, Minced Pork, Choy Sum, Chilies, and Spring Onions. Enjoy while hot! The noodles, while perfectly al dente and springy, are fragrant with the pork lard and shallot oil. You get the sweetness of the Char Siew complementing the Savoury Minced Pork, while the Vegetables provides the crunch and freshness. The vinegar is just enough to cut through the richness of the noodles. A bowl of this would keep me full for hours. Now I’m just glad there are more nooodles lying around. Have you got a favourite Kolo Mee stall? I wouldn’t say it’s lighter as it’s still rather oily hehehe. But at least it’s MSG free! The end product is so satisfying though I admit I wouldn’t have done it if I wasn’t away from Sarawak. Yeah do refer back to the original recipe if you like to make a bigger batch. And use Pork shoulder for the fatty char siew! Yay!!! Looking forward to seeing your version of Kolo mee! Looks very good and like the real thing… I’ve yet to “discover” how to cook kolo mee like the authentic ones in Kuching so I have no comment. 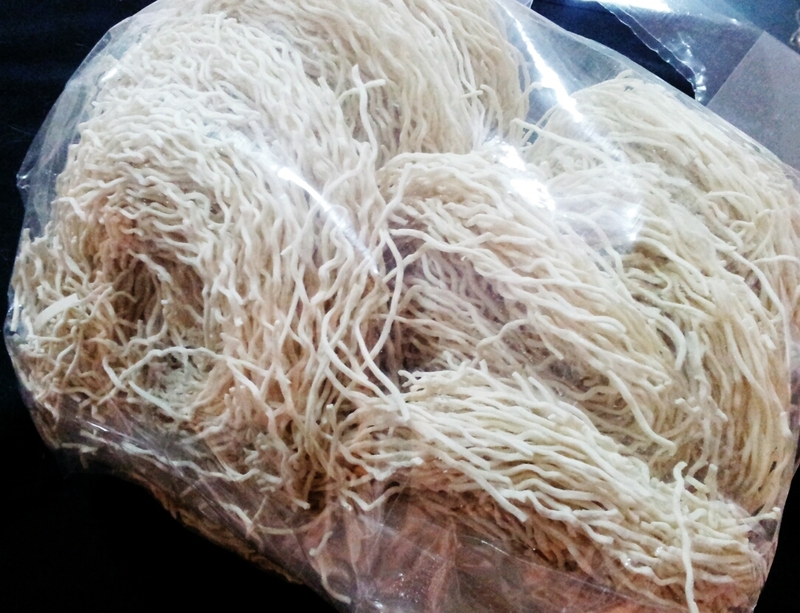 If it is kampua noodles, then I’m more familiar with it and I must say kampua is a whole lot easier to cook. Some people may not agree but I do think kolo mee is much nicer. There is something in the taste that I can’t seem to put my finger on. You’re in some kind of competition, are you? Good luck! I do think Kampua is slightly easier to cook too but I suppose the prep work remains quite time comsuming (because I like adding bian nuk in mine). However I do need to try the really good ones in Kuching again to compare the taste. Somehow I always stick to kampua mee though. More abundant in Bintulu, perhaps. Oh wow you made the Char siu at home too 🙂 amazing!!! It seems more complicated! 😛 I didn’t know kolo mee was a well known dish from sarawak hehe ~ looks delicious! It’s actually pretty easy. If you want nice fatty char siew just use Pork Shoulder. To be honest I love any kind of noodles and will never get sick of it! That’s a lot of ingredients! A lot of ingredients and work but the finished product looks like a boss. Superb images and awesome aromas too. Good work. This blog is definitely a winner. It looks delicious! 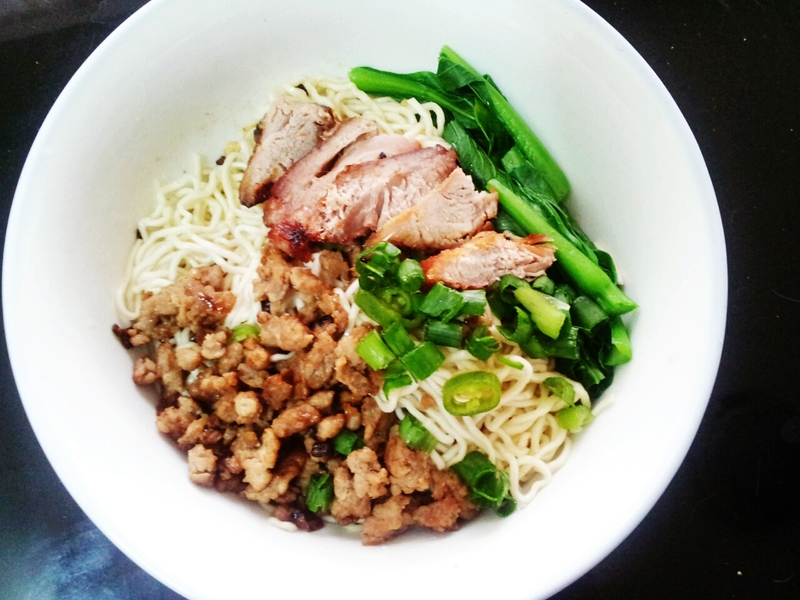 I have never made kolo mee before, but it looks like something I would love to eat! If you love noodles as much as I do, you’d love this! I have not try making this at home cos I am not too sure where to get the noodle. Tempted to try your recipe again. Thanks for sharing. It would be quite hard to find the noodles here I guess. But maybe you can substitute it? Something similar to yee mee? 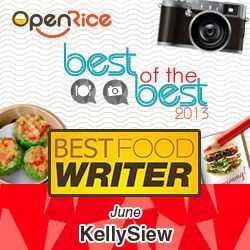 Hi Kelly, I seriously think you are one of the most hardworking cooks around. I really salute u for making everything from scratch. It must taste wonderful too, Frank is a lucky man! It looks absolutely amazing! We all love noodles, Char Siu and vegaetables; so this would be a very popular dish at my house. You’ve done such a great job!! Your kolo mee is looking de-li-cious!! We went to Kuching last year and love the kolo mee there. Having it at local stalls over here is a totally different altogether! Definitely! It doesn’t even taste as good out of Kuching itself! Love 干捞面!!!! Never had it Kolo Mee/Malaysian style though!!! Pork lard makes it sound quite sinfully delicious indeed! Even in Malaysia there are many styles of 干捞面. This one is from Sarawak, East Malaysia. 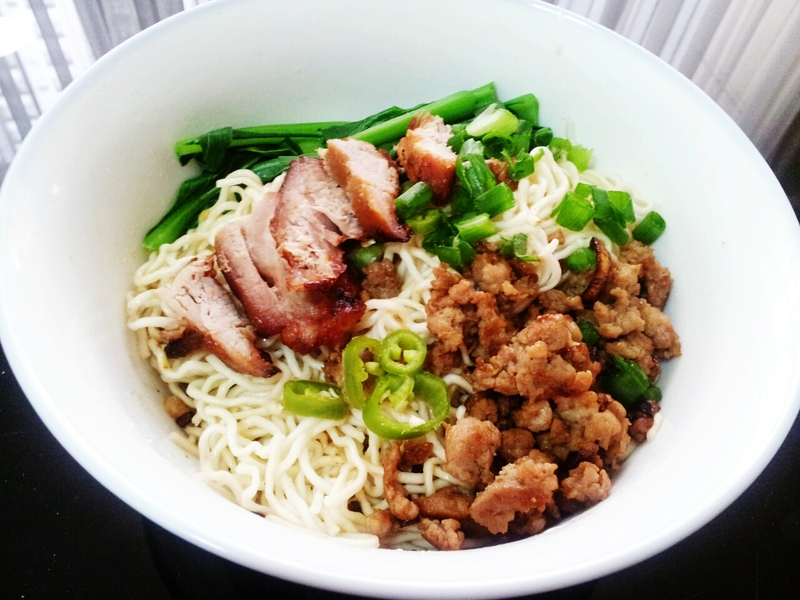 i hope i can get to taste the real kolo mee in sarawak one day and you made your own char siew too! just cooked the braised noodles that day i told you, it was good! thank you! Have you ever been to Sarawak? I am in the process of making this now for my husband from Sarawak. He is in the states now and really misses home. This dish is a labor of love. I cannot wait to try the finished product. Thank you for the very thought out instructions! Nice let me know how it goes! Labor of love is always good. We stumbled over hete by a different website and thought I should check things out. not examine the air and heating products. Twice now, I’ve noticed a bat in our property. i’s and cross all our t’s. read stufff from. Many thanks for posting when you have the opportunity, Guess I wll just boo mark this web site. future. Anyway, if you have any suggestions or tips for new blog owners please share. Please stay us up to dawte like this. Thanks for sharing.